Using a Ouija Board: If You Dare! 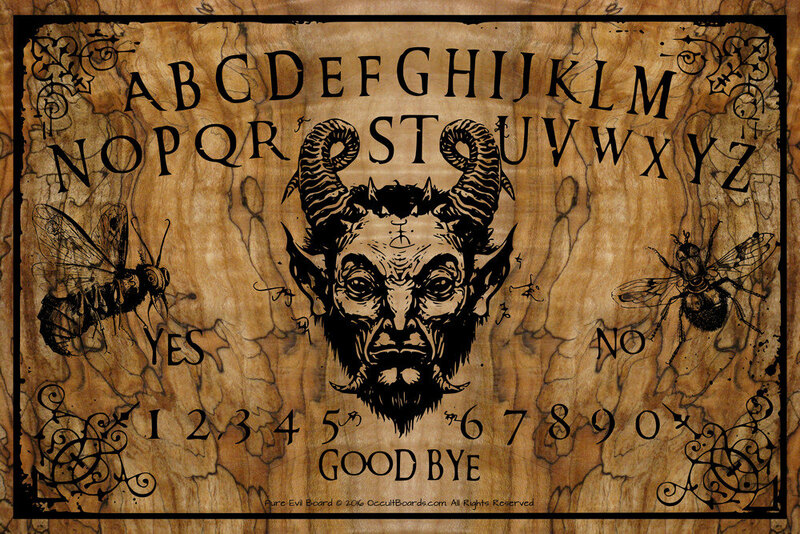 We have spoken previously about the “Do”s and “Don’t”s of Ouija boards, but here is some further information about them. Personally, I don’t go near the thing but I have friends that swear by it and get the answers they are looking for and have never had the problem of a demon or unwanted spirit showing up and strangling them in their sleep or possessing them as the movies depict. The first time the Ouija board showed up was in 1891 in a Pittsburgh toy and novelty shop with the advertisement in the paper touting it as: “Ouija, the Wonderful Talking Board.” It was described as a magical device that answered questions “about the past, present and future with marvelous accuracy” and promised “never-failing amusement and recreation for all the classes,” a link “between the known and unknown, the material and immaterial.” Price, $1.50. Today it is sold in board game aisles. But after doing some research on the actual origin of the board, the interesting thing is there is none. No one knows how the game came about or who actually invented it. The interest in this mysterious game board came about when spiritualism was at its all-time peak and a novelty with the rich and bored, gathering groups together to have a séance, using the board to speak with spirits. But it was also during a period of wars and disease taking many away from their loved ones. The idea was that two or more people would sit around the board, place their finger tips on the planchette, pose a question, and watch, dumbfounded, as the planchette moved from letter to letter, spelling out the answers seemingly of its own accord. The only difference between the original boards and the ones available now is in the materials; the board is now usually cardboard, rather than wood, and the planchette is plastic versus glass. So, if you are interested in using the Ouija board properly, here are some guidelines. Right below them are the no-no’s of using the board which should be taken VERY seriously because this stupid little game can wreak havoc for the novice or fearful from those sneaky little spirits that are drawn to the light of the living. Two or more people are recommended for using the Ouija board, though it can be performed by one person, but it’s always better to have someone else to verify anything that you might get from the spirits. Form a circle around the board with all participants. Link hands left on top of right. Say a prayer to help bring protection while performing the seance. BIG PIECE OF ADVICE! Place two fingers of each person upon the planchette glass. Ask questions such as “Would anyone like to come forth and talk”? If the board does not work try letting someone else speak and taking some hands off the glass. The glass should start off by spinning circles – some say that this is the spirit trying to gain energy to communicate – some say it is the spirit finding its way around the board; again, who knows what the truth is for this. If you do not understand what the spirit is trying to say to you, ask it to either repeat it or ask questions that will clearly define what you would like to know. 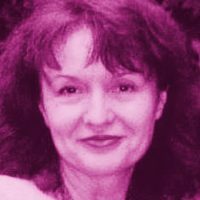 If a spirit appears to be having trouble communicating, ask what you can do to improve the communication. If a spirit points to “good bye” let it go. When finishing the seance, place the glass on “Good Bye” and say that you are now leaving. Everyone should then remove their hands from the board and the table. The board should always be closed. “Most often the spirits whom are contacted through the Ouija are those whom reside on ‘the lower astral plane. These spirits are often very confused and may have died a violent or sudden death; murder, suicide, etc. Therefore, many violent, negative and potentially dangerous conditions are present to those using the board. Religious objections to the Ouija board comes from the belief you are inviting voluntary possession by spirits or demons. Many believe the Ouija board reflects the state of mind of the people who are using it, if only on a subconscious level. If you’re frightened or nervous or even expecting something negative to happen, that’s very much what you might get. On the other hand, some people using it with a completely different attitude have had very positive experiences. Ouija board sessions are often carried out with two people and you open yourself to manipulation of the reading by the other person, consciously or unconsciously. Always begin by announcing that the session will only allow an experience that is positive or toward a higher good and that negative energies are not welcome. Don’t ask for physical signs. When you’re done, close the board. This is an important step. When you’re done with your session, slide the planchette to ‘GOODBYE’ and remove your hands, otherwise you are leaving “the doorway” open. There is truth to the ability of this little board game that has brought about such curiosity, fear and judgment being able to do what it says it does. Almost any object can be a vehicle to contact a spirit but the belief is the key and the Ouija board has earned that reputation, so a cautionary tale to anyone who treats it as a joke. Watch the movies! They are over the top embellishments of spirit and demon manipulation but where there is smoke, there is always fire. One thing for sure, it is not a child’s game of Monopoly and should never be treated as such.